Happy (almost) New Year, loves! 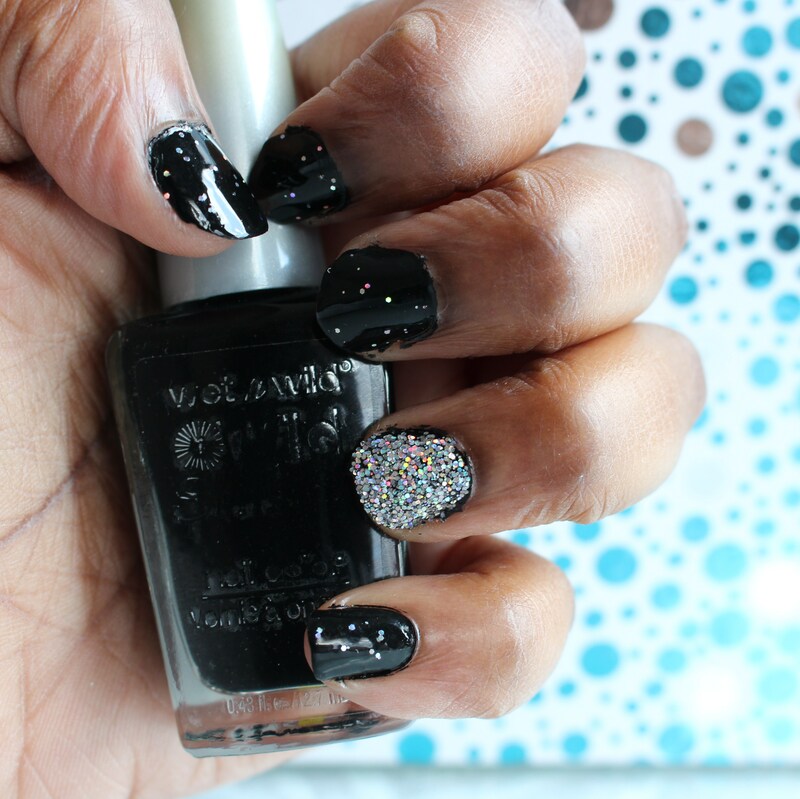 Today, I did something a little bit more funky and definitely a LOT more festive on my nails and of course, I had to share it with you…duh!!! Just look at that GLITTA!!!! Okay, so I’m clearly not a professional at nail art or cool nail effects, but I always listen to Yoda, “Do or do not, there is no try” (how’s that for a new mantra for 2015!? ;D). 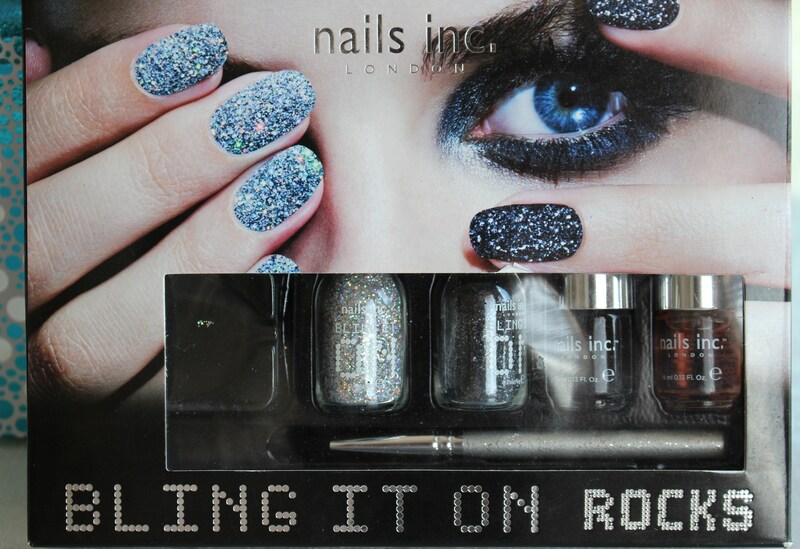 The Nails Inc. Bling It On Rocks kit comes with 1 black polish,1 top coat to seal in the glitter, 1 jar of silver glitter, 1 jar of black glitter and a tray to use for application. 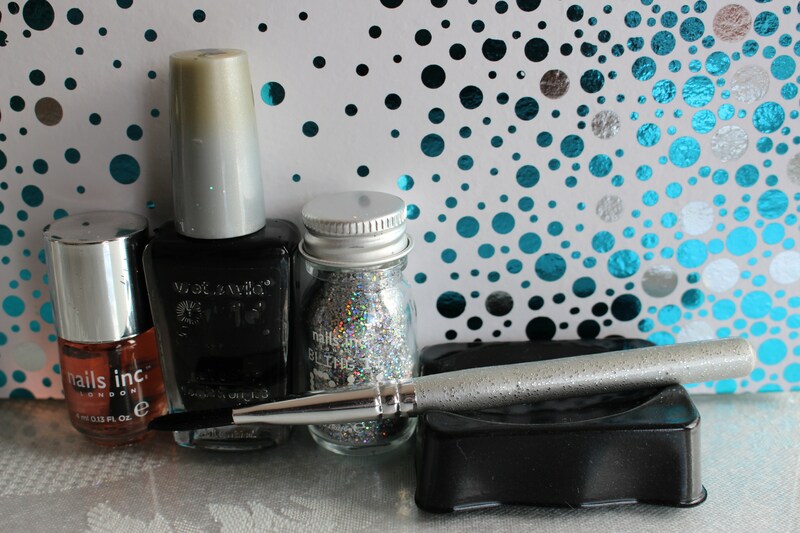 It took me a bit to get used to the effect of glitter or should I say, how freakin’ weird it is to drop your perfectly coiffed finger with WET nail polish in a tray of glitter…but I got used to it, and look how good it looks! 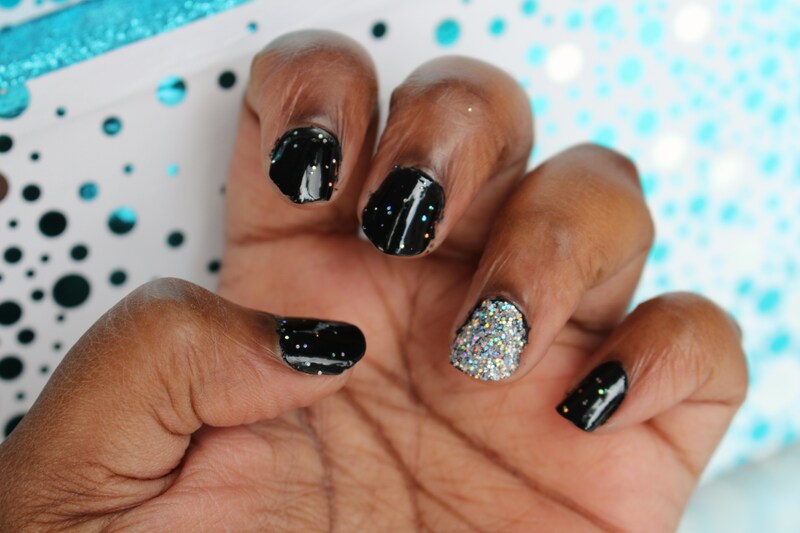 I opted for 1 accent nail because that’s more my style, but I probably could have whipped through to a full set of glittery nails in a flash. 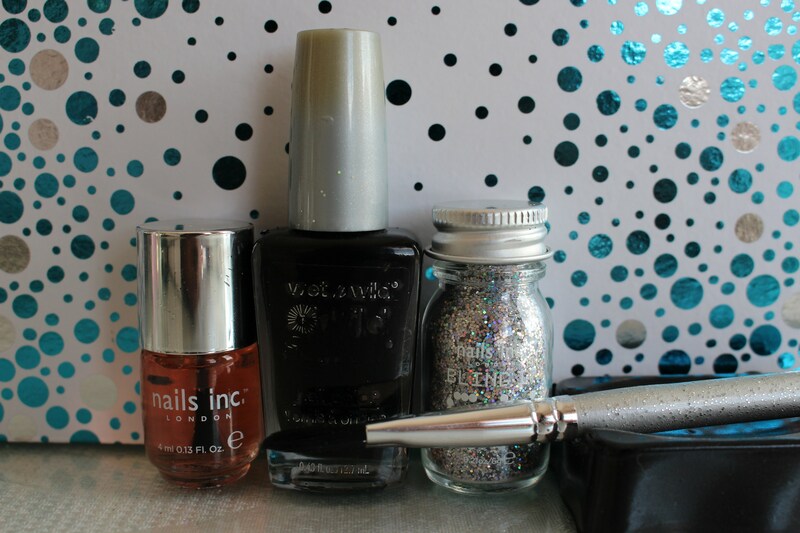 I also decided to use a super inexpensive Wet & Wild nail polish as my black base, because the Nails Inc. one provided seemed a bit watery. Weird way to describe nail polish, I know, but I really didn’t think it would last longer than an hour on my fingers, and seeing that I need these pretty nails to last me until at least 12:01 am on the 1st of January 2015, I didn’t think that would work. 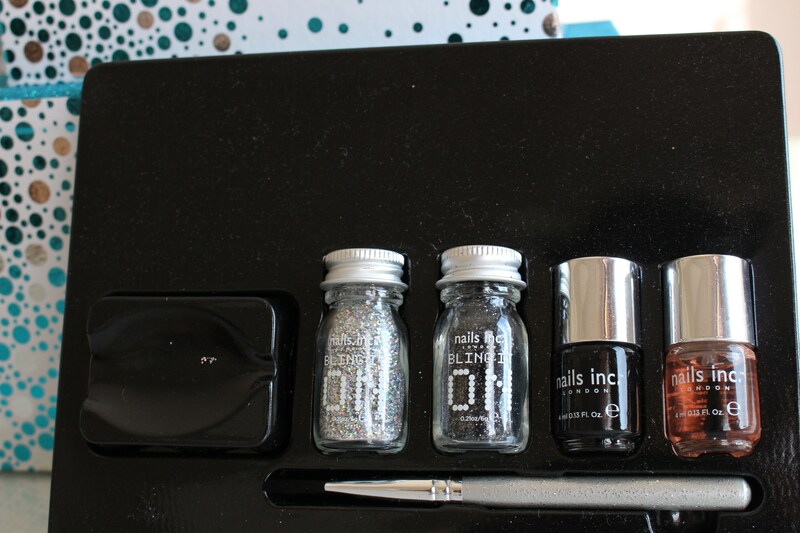 However, I did use the top coat to seal in the glitter and as a regular top coat on my other nails and it dried really quickly while maintaining a flawless, super shiny finish. 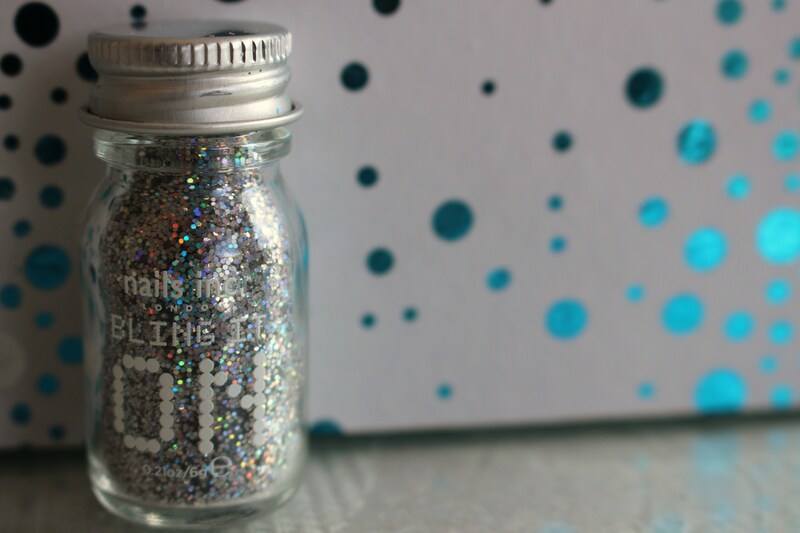 A big thank you to my cousin Eli, because if it wasn’t for you, I wouldn’t have the super pretty, glittery nails that I’m sporting as I type this. So, what do you think!? 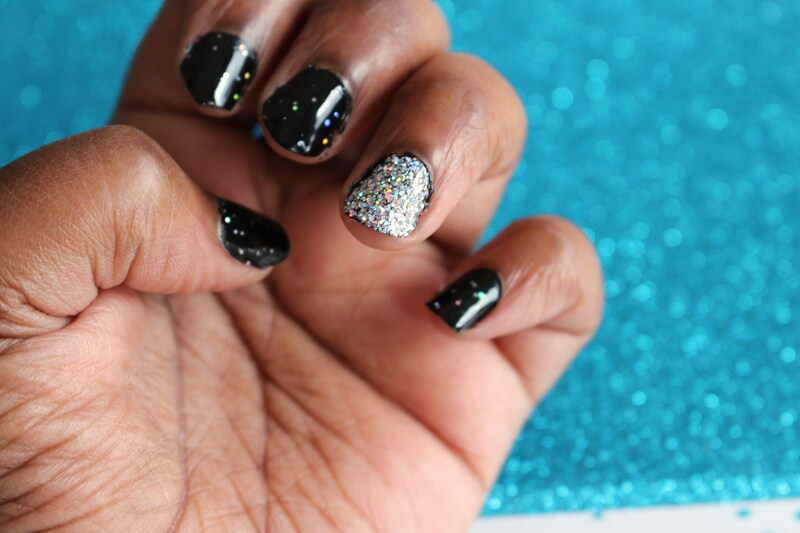 Do you like glitter on your nails, or do you find it more hassle than it’s worth? Let me know in the comments!